Climate Kelpie connects Australian farmers and their advisors to tools and information about climate to help make better decisions about farm business. 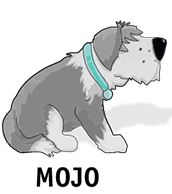 Our Climatedogs simplify the greater climate forces and round-up the right information that’s important to farmers. For up-to-date information about your region’s current climate, and how it is predicted to change over time, select your region from the map. 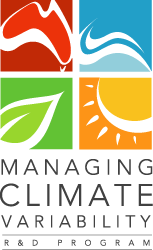 CLIMATE KELPIE IS A CREATION OF THE MANAGING CLIMATE VARIABILITY R&D PROGRAM. Climate is the biggest individual driver of production variability in agriculture, and accounts for one-third to two-thirds of annual global crop yield variability. producers and natural resource managers.